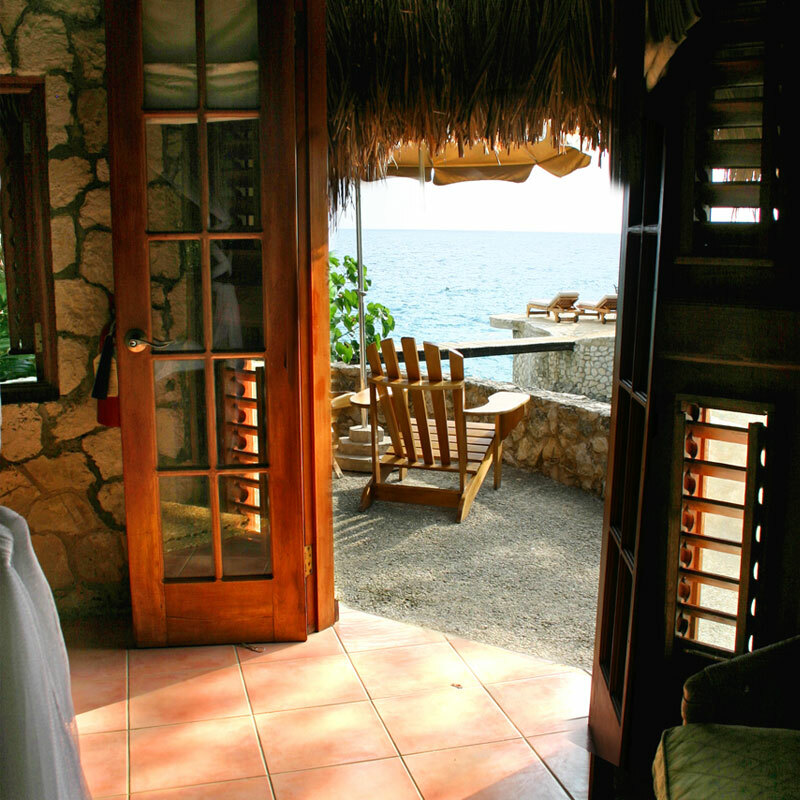 The Cove Cottage at the Tensing Pen Resort has one of the best locations and views. 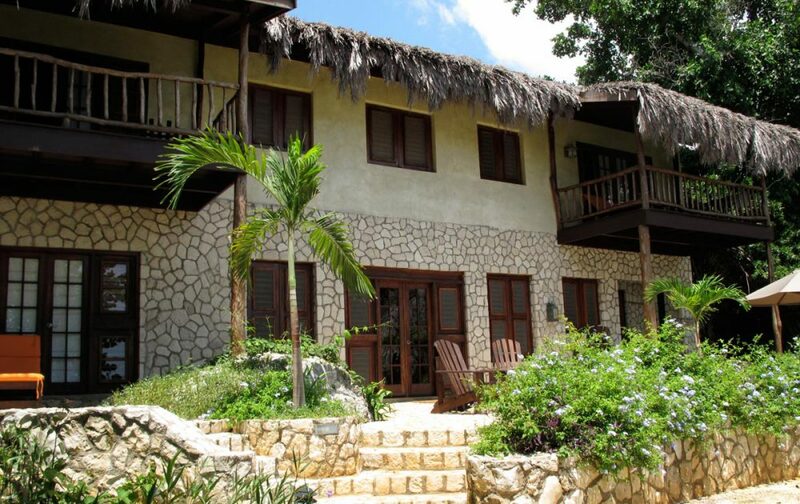 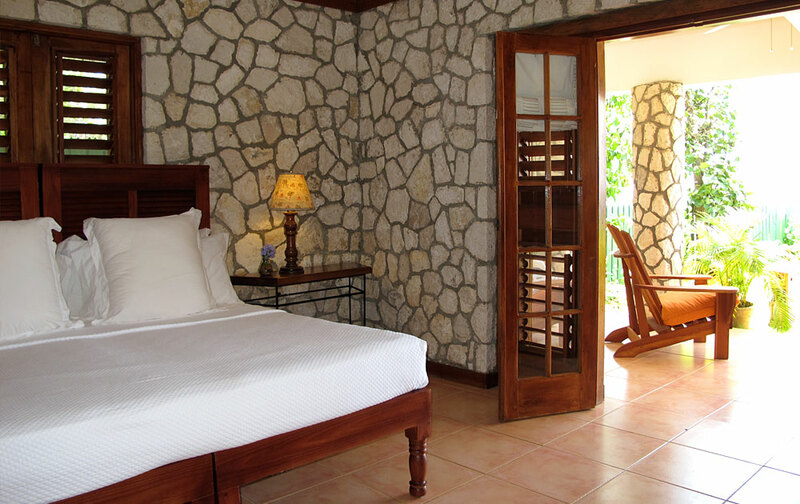 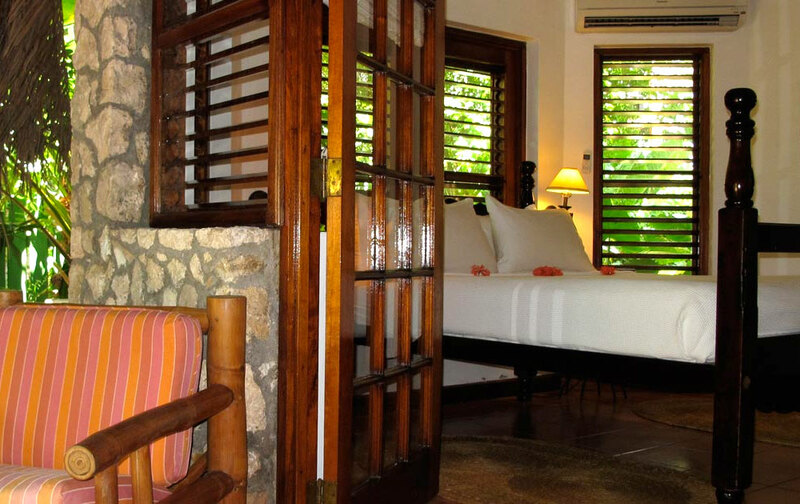 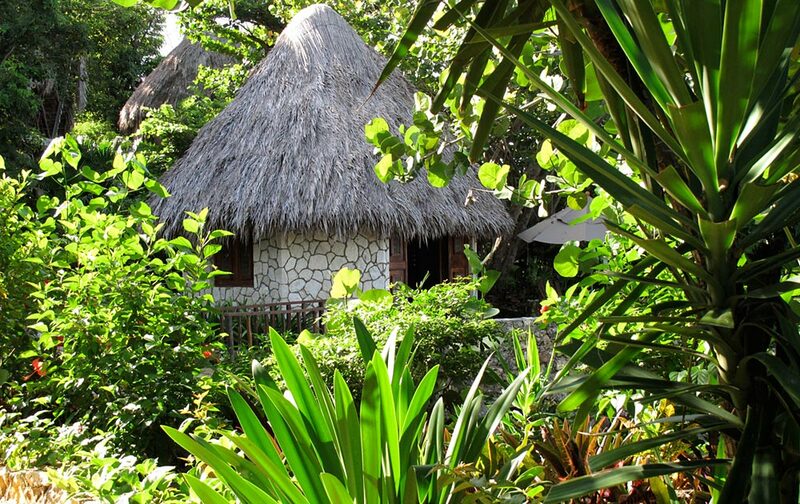 The rich surroundings of the nearby vegetation, along with the beautiful grotto just below the Cove Cottage make this suite one of the most envied locations on the Tensing Pen Jamaica resort. 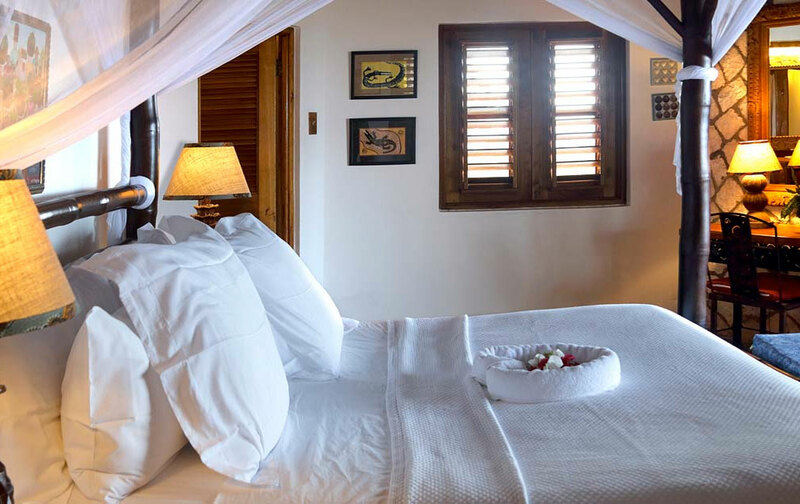 The Cove Cottage is perfectly perched ten feet above the edge of the Tensing Pen cove and offers a bird’s eye view of the water below and Tensing Pen’s iconic bridge. 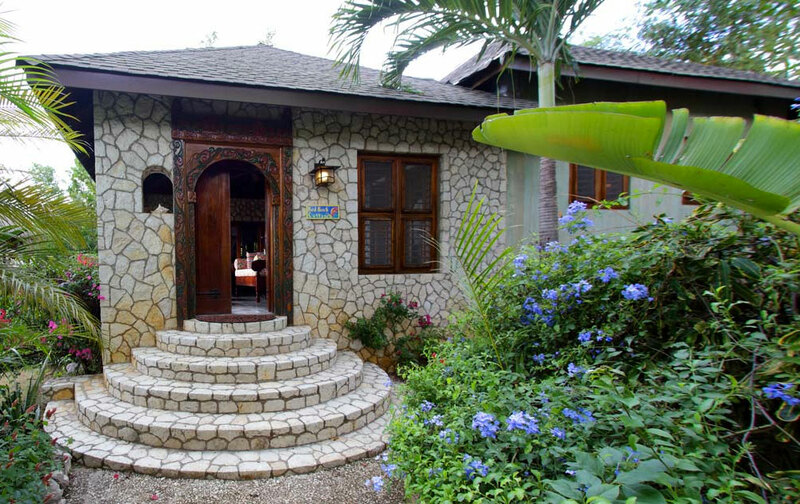 Journey to the grotto below by taking rough hewn stone steps that have been carved into the Negril cliff side. 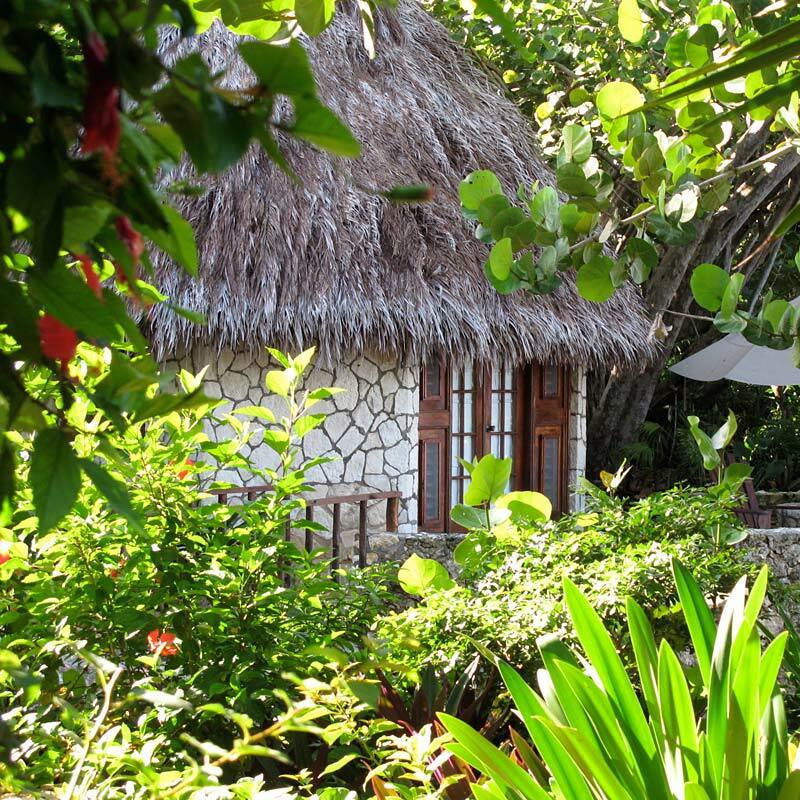 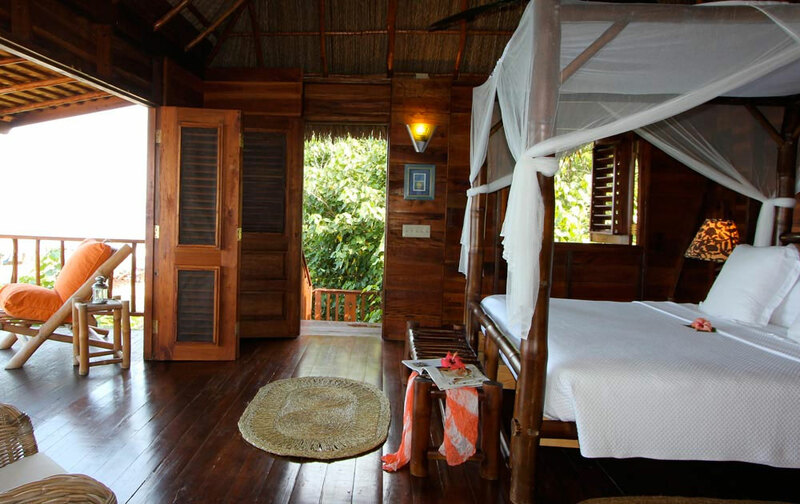 This cozy little cottage has the perfect romantic view of the setting sun as it cascades across the water, into the cove, and out over the Caribbean Sea in Jamaica.